The legal services sector has been in the spotlight recently after the SRA responded to the Competition and Markets Authority (CMA) report, which details the outcome of a market study made into the provision of legal services in England and Wales early last year. The study found that consumers generally lack the experience and information they need to navigate the legal services sector as there is very little transparency about service and quality meaning many consumers find it difficult to make informed choices. The Legal Services Board (LSB) found that less than 18% of legal services providers display their prices publicly. This opacity has weakened competition between services providers meaning some consumers do not seek to obtain legal advice when they need it. 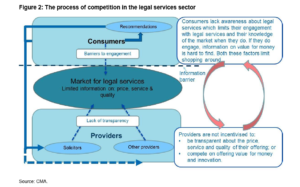 The study, originally conducted on the 13th of January 2016 details how better transparency of price, service and quality within the legal services sector will improve the service in terms of speed, choice and confidence consumers have when using new services. In light of the findings the CMA has suggested a package of remedies designed to focus on helping customers engage with the legal services sector by equipping them with the tools necessary for making informed decisions. 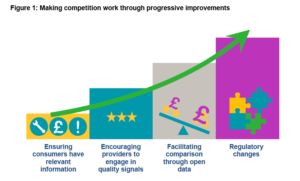 The proposed remedies will also facilitate the development of digital comparison tools (DCTs) to help consumers compare providers of legal services, just as they do in many other markets. According to LMS research the conveyancing sector is the slowest factor in the residential property purchasing process and has come under attack for being less technologically sophisticated than brokers, lenders and valuers. Many believe that enhanced technology will allow services provided to be speedier and more convenient. The poll which consisted of almost 1,500 borrowers who had remortgaged or purchased a property in the last six months, revealed that less than 50% felt that their conveyancing solicitor was good value for money. Public polling has shown that 82% of people think solicitors should be regulated independently. Solicitors in different sectors already fall under this banding, however conveyancing currently does not. 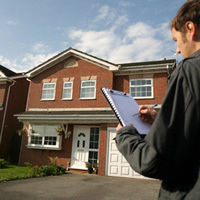 Further research into the views of around 1,000 former conveyancing clients on the legal aspect of their house purchase or sale. The possibility of ‘regulated by the SRA’ and ‘protected by the Compensation Fund’ logos as a mark of quality and trust consumers can use to make informed decisions. Agreement with the CMA view that legal regulators should be independent of both representation and Government. This again would boost public trust in the legal sector. Don’t get delayed with nasty surprises. Order your searches online through Pali, a multi award winning conveyancing search company that ensures your clients receive an efficient and competitive service. This entry was posted in blog, Conveyancing, Property Market, Uncategorized and tagged All inclusive searches, By Your Side Appeal, Conveyancing, Conveyancing Quote System, Groundsure, Liverpool, Pali, Residential, Terrafirma. Bookmark the permalink.